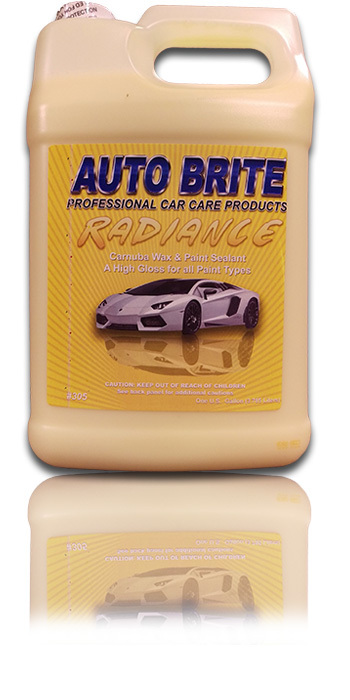 Radiance - Is a solvent blend of polymers and waxes. This product dries fast and wipes off easily. Removes mild oxidation and road grime. Fills swirl marks and light scratches. Can be used by hand or orbital buffer for high gloss finish. Radiance will not stain moldings and textured bumpers. Leaves no white residue.